Tree Removal - Tree Service Express, Inc. Hazardous, dangerous and technical Tree Removals are our specialty. We can and do small, easy removals, no problem. However, we have the skill, equipment and experience to handle the most difficult tree removals that most other tree services cannot do. We are the experts in large trees in awkward spots that require a crane. We often use a crane because this allows us far more control over the tree greatly reducing the risk of damage to surrounding property, structures and the ground below. 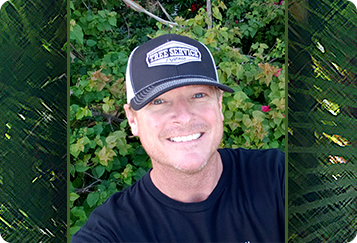 Not all tree removals require a crane and our ISA certified arborist Nick Rocco can determine what equipment is needed in every situation. We have done removals of giant old oak trees that were dying or rotted in backyards, right next to the house using a crane to lift it up and over to safe ground where it can be cut up and put into containers to be hauled away. We have removed trees from playgrounds, apartment building and commercial properties some with a crane, some without. 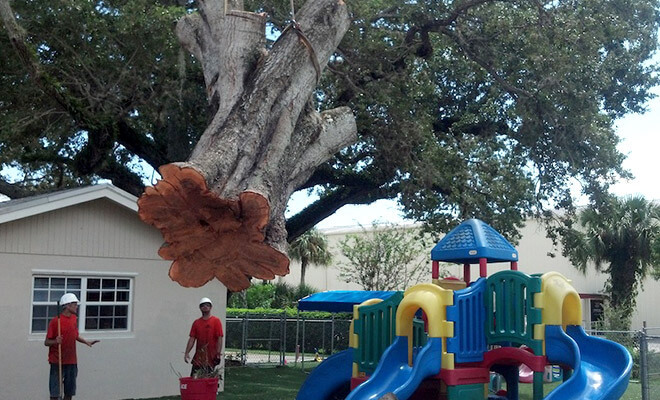 We have done many large tree removal projects, such as in Palm Bay and surrounding areas. Call now to schedule or click the button to schedule your free tree removal quote today!